This grooming arms are made from extra strong zinc-plated steel. The heavy-duty, powder-coated aluminum clamp opens to 1-1/4-inch to screw securely onto most grooming tables. The extra-wide clamp prevents damage to the table and increases stability. The arm adjusts up and down with easy-to-grip knobs. 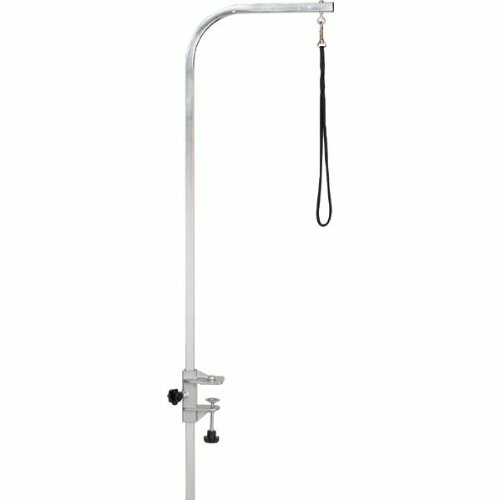 The 3/4-inch square arm includes an 18-inch grooming loop with a swivel snap. Available in silver color. Measures 36-inch height.